The Brisbane property market can be broken down into three distinct regions; The Inner City, Middle Ring and Outer Ring. These markets each have substantially varying populations and family structures, which ultimately impact the residential market, and in turn the rental demographics in each local area. By dividing the market into separate regions, this allows target analysis and reveals specific trends within the diverse real estate market of wider Brisbane. Houses in the Inner City are predominantly well established homes that were built prior to the current trend of urbanisation. Apart from the prestige housing, these homes are typically smaller and older than their Middle and Outer Ring counterparts and tenants in these properties are generally professional couples and young families that work in the CBD earning a higher income. 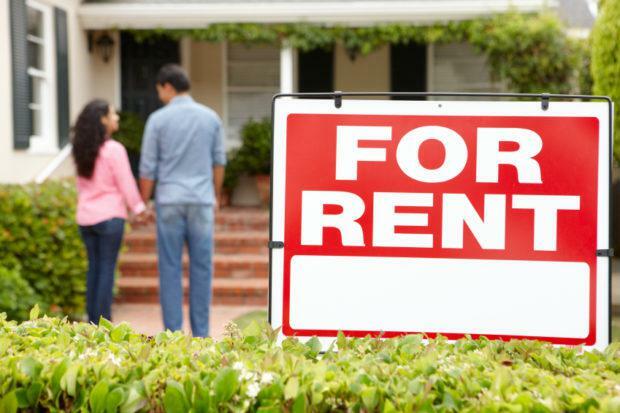 As a result, houses in the Inner City are the most expensive region to rent; a three-bedroom house had median rent of $525 per week for the June quarter. This saw a rental increase of 4.1% per annum- significantly larger than both the Middle and Outer Rings. Investors looking to enter the city housing market are expected to pay a premium to reap the benefits; the median price of a house is valued at $705,000 from the six month period ending June 2013, once again significantly more expensive then the outer and middle rings. Currently almost half of total dwellings in Brisbane’s inner ring are apartments, a high percentage of which are rented. Tenants that rent within the inner ring are typically young professionals, either living alone or as a couple. They are attracted to the urban lifestyle and walkability that comes with an inner city apartment. Recent years have seen investors from around the globe target apartments in the Inner Brisbane ring because they offer a relative affordability when compared to other Australian capital cities. Over the five year period, the Inner Ring experienced a 3.1% growth per annum with a two bedroom apartment achieving a median rent of $490 per week for the period of the June quarter. The strong underlying call for rental tenancies has resulted in increased investor demand subsequently supporting the recent price growth, which saw the Inner Ring apartments achieve a median price of $431 000 in the most recent quarter. The Middle Ring is comprised of suburbs that are located 5-10 km from the Brisbane CBD, including those such as Ascot, Bardon, Indooroopilly, Holland Park and Sherwood. Moving further away from the CBD means a more family oriented region, and subsequently an increase in housing rentals. House rental represented 35% of the Middle Ring market for bonds lodged during the June 2013 quarter. During this period the Middle Ring recorded 2,898 new apartment bonds and over 1,500 house bonds; a higher average of new bonds than both the Inner City and Outer Ring. The housing landscape changes as you move away from the inner city into the Middle Ring, which is typified by slightly larger house blocks. Demographically speaking, there is variety of tenants that occupy rental properties in this region. Established suburbs that fall close to the inner ring such as Hamilton and Ashgrove attract younger high income families that have outgrown their small Inner City house or apartment and are looking to establish themselves near other professionals. Other Middle Ring suburbs are tenanted by middle income earners who are attracted to suburbs that have larger houses, affordable rents and access to family amenities such as schools, shopping centres and small commercial precincts. In the 2013 June quarter the median rent for a 3-bedroom house in the Middle Ring was $442 per week which showed 3.4% growth per annum. Investors looking to enter into the middle ring can expect to pay a median price of $556,250 for a house. The Middle Ring is comprised of substantially fewer apartment buildings than the Inner Ring, which is predominantly due to the varying characteristics of the two areas. Apartments in this market are typically built in close proximity to major transport nodes and shopping centres, and on average are much larger and more affordable to rent or buy. The median price for a two bedroom apartment in the Middle Ring was $405,000 with a median rent of $359- over $100 less than Inner City apartments. This showed a 3.3% increase in rental growth per annum, a larger rise than that of the inner city. Suburbs included in Brisbane’s Outer Ring are those which are 10-20km away from the CBD. Some which might spring to mind include Brookfield, Carseldine, Darra, Ferny Grove and Mount Ommaney. Brisbane’s outer ring is the most family dominated of all three markets; housing rentals represented 76% of all bonds in the outer ring. This area was the only region that recorded more new house bonds then apartment bonds in the 2013 June quarter. Brisbane’s outer ring is typically low density and the landscape is dominated by detached housing. Generally, tenants looking to rent in this region are families that want a larger yard and all the other features of the typical spacious family home but don’t want the commitment of a mortgage. These tenants are also willing to sacrifice the inner and middle ring location, and as a result this region is the cheapest area to rent, with a three bedroom house achieving a median rent of $376 per week; a subsequent 2.4% rental growth in the June quarter. Characterised by large, generally more affordable homes, this area is also the cheapest to buy into, with the median house price in the outer region coming to $455,000, for the first six months of 2013. The Outer Ring offers the Australian Dream at a more reasonable price, and therefore it is no surprise that this region has the highest percentage of home ownership and mortgages. The outer Brisbane suburbs have relatively low levels of apartment stock. In this region apartments are almost exclusively built around major suburban centres that offer a hub of jobs and services. However, Brisbane’s outer ring was the area that recorded the largest amount of rental growth for apartments over the five year period, with a 3.5% increase per annum. These apartments are cheaper again than their middle ring cousins, with the median price of two bedroom apartment at $368,000 and with a median rent of $332 per week for the June 2013 quarter. Rental Yields - Who came out on top? There was one region in particular that showed a higher return for investors. As indicated by the graphs above, Brisbane’s inner city houses generated a slightly higher rental yield than the other regions, of 4.3% for investors. However, the substantial difference is recognised when analysing the apartment market, where investors buying into the inner city can expect to see a 5.9% rental yield; substantially higher than those in the middle and outer rings. Therefore, while buying into the inner city may be more expensive, from an investor’s point of view, it will definitely yield results. Overall, the Brisbane rental market has seen strong and consistent growth over the past five years. Where the rest of the industry has faltered, the Brisbane market continued on full steam ahead. It could be argued that the rental market actually benefited from the decline in the construction industry by placing pressure on supply and demand, resulting in rises in the weekly rent owners could demand. , Lachlan’s role is to gather both internal and external market intelligence to gain a comprehensive understanding of residential projects and provide product specific advice to clients. This reduces associated risk and provides the information necessary for them to make an informed decision. He has worked closely with a number of developers, from site conception through to product delivery and provided advice to those including Lend Lease, Australand, Laing O’Rourke and Leighton Properties.